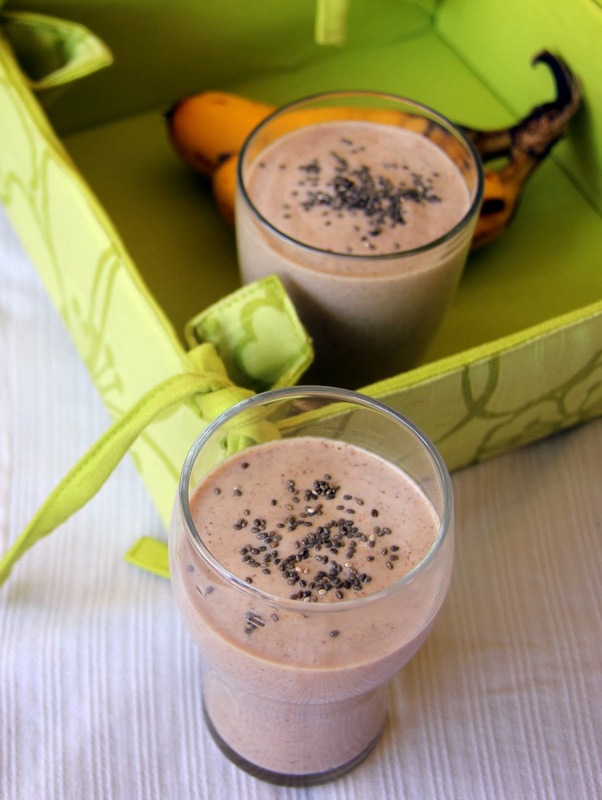 This yet another hi protein after work out or breakfast shake with chia seeds. It is very high in protein and keeps you fuller for long time. I like the combination of strawberry and banana. 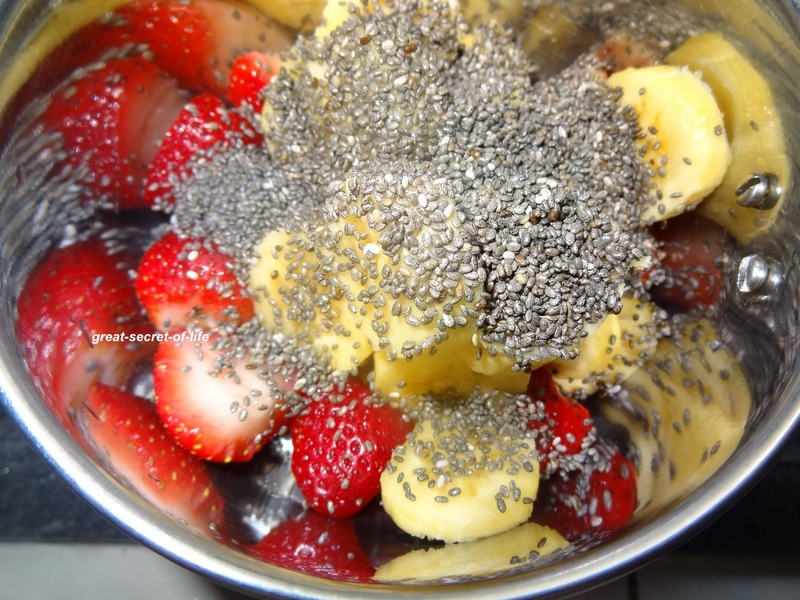 I love to throw in some chia seeds with it to make it healthier. Combine all the ingredients other than water and yogurt. Grind to smooth paste. Add in yogurt and water. Whip it and serve it in tall glass. Nutritious Milk shake!! 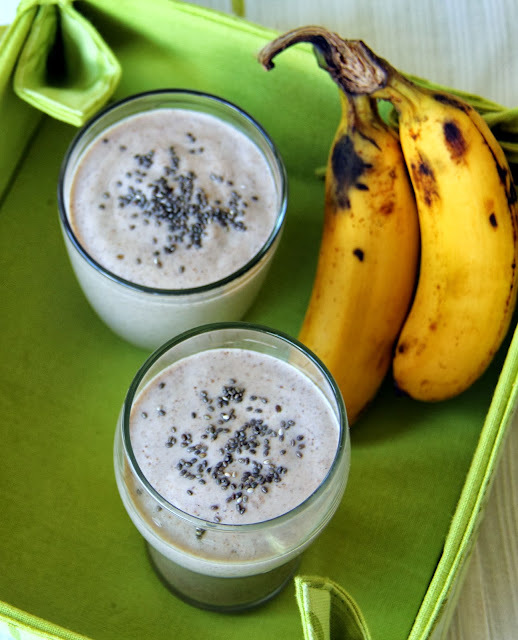 Yummy too..
yummy smoothie, very healthy way to start the day..
not a big fan of chia, but very healthy milk shake. 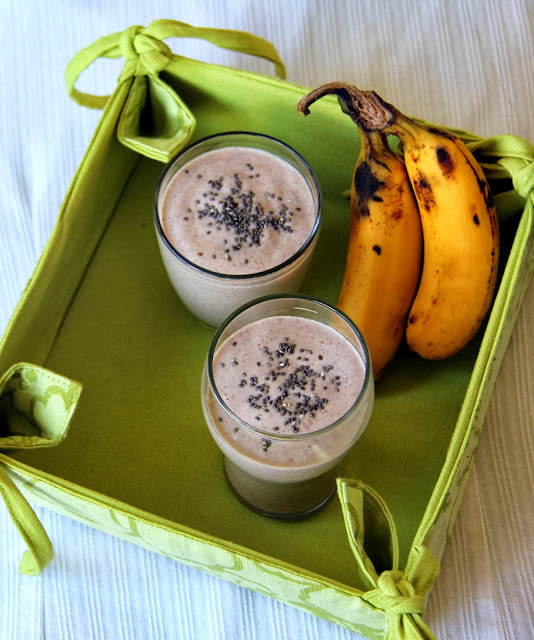 wow...very healthy n delicious shake....wonderful clicks!!! tats a very heslthy one..